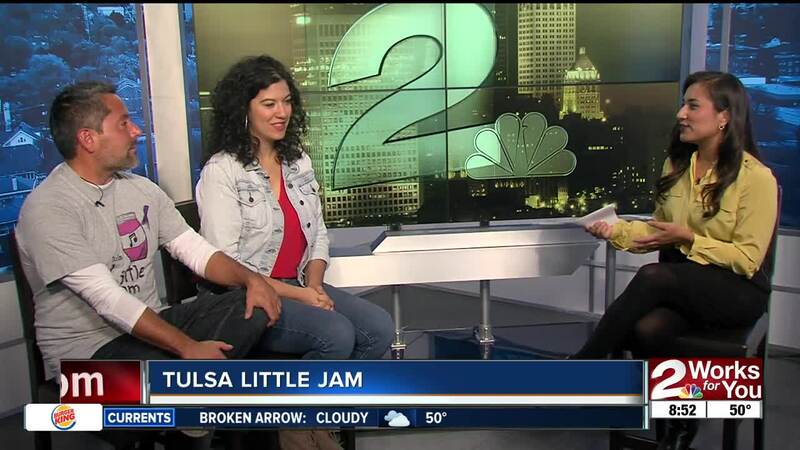 Two guests from Tulsa Little Jam stopped by to talk about the project and how it benefits local schools. They sat down with 2 Works for You Anchor Gitzel Puente on Saturday morning. A new project in Tulsa is showcasing the city's top musicians and giving back to the community. Tulsa Little Jam started in September as a weekly podcast series with singers and songwriters. Picture Austin City Limits but in a smaller scale. The concerts will be featured online and each performer will be interviewed for the podcast. At each taping, there will be food and drinks for sale. Tickets are sold on a first come, first serve basis. According to Tulsa Little Jam, all proceeds will benefit after-school music programs in the city. The next taping is this Saturday, October 13 at 7 p.m. at the Woody Guthrie Center. Tickets are $25 per person. The lineup includes Nightingdale, Casii Stephan and The Brothers Moore.